Do you find yourself having to readjust your saddle after you get on your horse because it has slipped too far back? We’ve all had it happen; we get our horse all tacked up in the barn and by the time we arrive at the arena and get on our horse, the saddle has slipped too far back. Here are a couple tricks any equestrian can do to avoid having to reset your saddle at the mounting block. First, when you are tacking up your horse, put your saddle slightly further ahead than where you normally ride. Make sure that the girth is snug but still comfortable for your horse. This way you aren’t giving your saddle the chance to slip back while you walk the horse to the ring. After your horse has walked out of the barn and you’re about to mount, tighten the girth one more hole. Again it should be comfortable but tight — you don’t want the saddle to slip back in the first few steps after you get on. 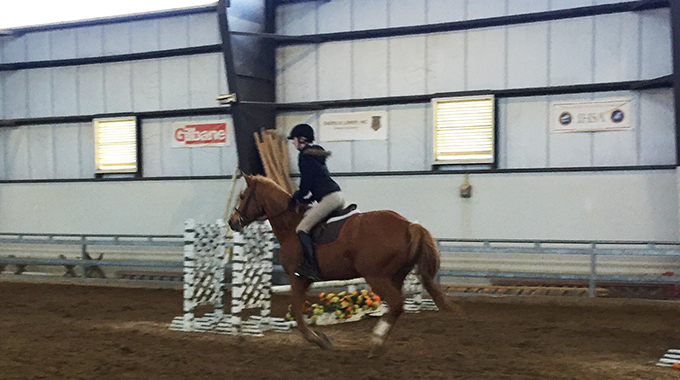 Once on your horse, let him walk off relaxed, and then as you’re walking into the ring (I wouldn’t go more than about 25 feet), tighten the girth again one more hole to where it’s just about where you want it for the whole ride. And that’s the way to get your saddle up and settled back slightly into the correct position for your ride without having to use a sticky saddle pad or breastplate on your horse. Proper handling of your horse prevents accidents and helps to ensure that you, other people around you and your horse will be safe and sound. Features a video on safe crosstie practices and tying procedures. 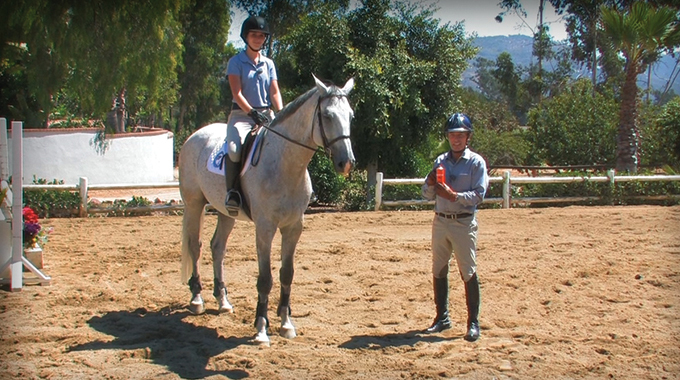 Bernie shows us how to use sticky spray to help keep our legs tight in the saddle. 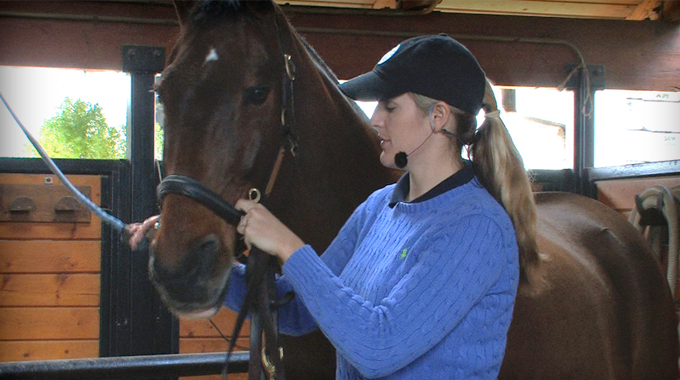 Cori offers her favorite exercises on the flat to help riders get used to regrouping their horses after a line.